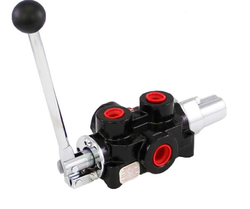 Leading Authorized Wholesale Dealer of quick connect couplers, high pressure thermoplastic hoses, pressure gauges, pressure gauge adapter, directional control value and connecting coupler from Hyderabad. 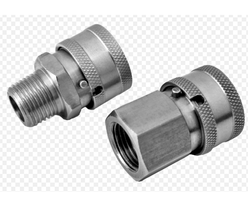 Our organization is regarded among the leading traders and retailers of optimum quality Quick Connect Couplers. Our vendors manufacture these couplers under the supervision of qualified professionals in compliance with the industry laid parameters. Appreciated for their smooth installation, dimensional accuracy and abrasion resistance, these couplers are exclusively demanded around the nation. 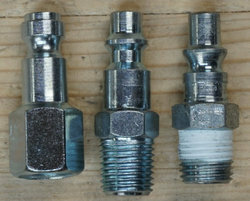 Quick Connect or Couplers are used to connect & disconnect Hoses /Pumps /Cylinder quickly by hand. We are engaged in the wholesaling and retailing of optimum quality High Pressure Thermoplastic Hoses. 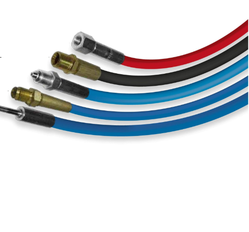 Offered thermoplastic hoses are precisely engineered using good quality metal, latest technology and advanced machinery at our vendor’s end. These components are tested by our quality controllers on several of their check parameters. Furthermore, we offer these corrosion resistant components at an industry leading price. 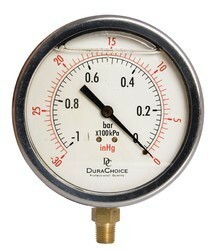 Our company offers premium quality Pressure Gauges at an affordable market price. These gauges are engineered in accordance with industry set norms and parameters, using quality grade metal at our vendor’s end. Our pressure gauges are easy to install and known for their simple functionality. 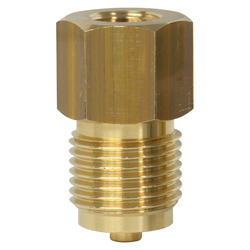 We are a trustyworthy organization offering a wide a gamut of Pressure Gauge Adapter. We are a trustyworthy organization offering a wide a gamut of Directional Control Value. We are one of the leading manufacturer and supplier Connecting Coupler. We obligated to meet the quality standards as per the customer demand. Looking for System Components ?